Recently, I purchased a pack of the “Fitted” Toploader Bags from Radicards and was pleasantly surprised. I expected the standard Ultra Pro team bags, but instead I received a classic bag with an enlightened twist. At first glance, the Radicards fitted bag appears no different from the standard team bag. However, as you slide your toploader into the bag, you realize that the bag is custom fitted to your standard 20pt toploader. It might not seem like that big of a deal, but any collector who stores their valued cards using triple protection (penny sleeve, toploader, and team bag) knows that a standard team bag has excessive space that becomes annoying over time. The space allows the toploader to slide around, but worst of all, the slack in the plastic makes for an ugly presentation and creates difficulty in storage. With the Radicards Fitted Toploader these problems do not exist. The snug custom fit will have you quoting Ace Ventura. “Like a glove!” But more importantly, the new crisp look will present your collection the way it should be… luxurious and exquisite. If you are interested in elevating the appearance of your collection, then you’ll be glad to hear that the Radicards Fitted Toploader bags are available in packs of 100. Additionally, they are acid free with adhesive flaps. This product can be ordered from the Radicards website for $3.09 (plus shipping). 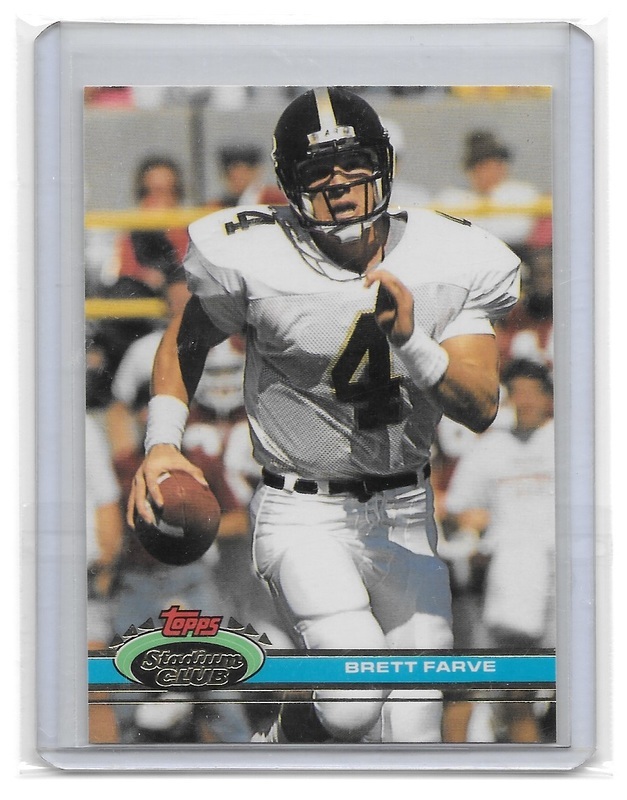 This Favre RC is in a standard team bag. Notice the extra space on the left and right side. Weak Sauce. 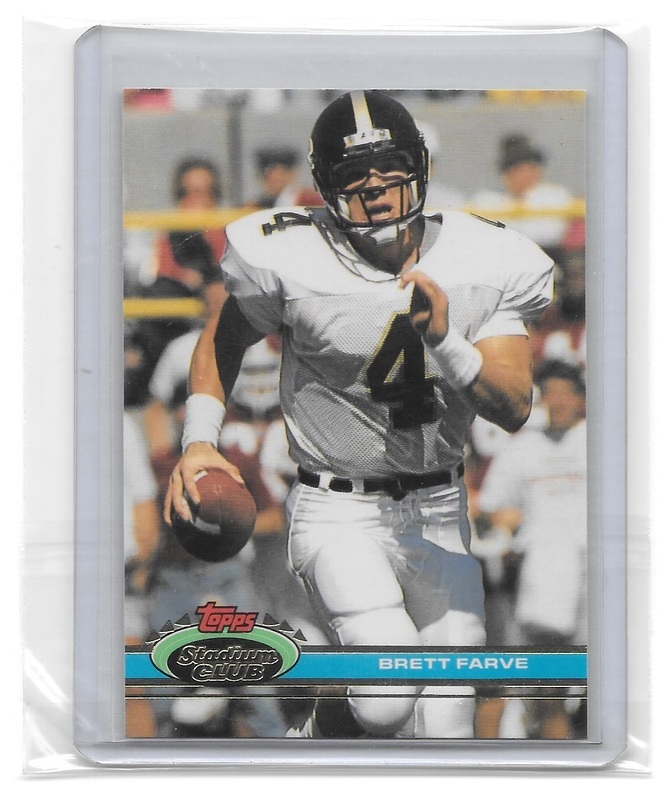 Here is the same Favre RC in a Radicards Fitted Toploader Bag. Strong representation!